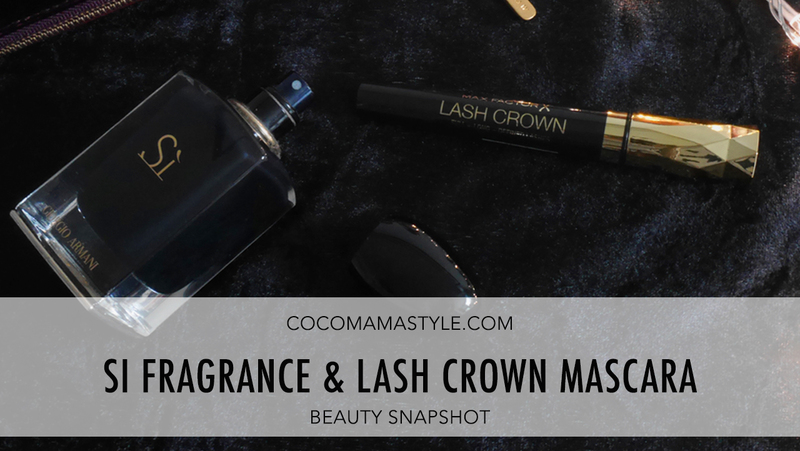 I regularly share snapshots of my beauty must-haves on Instagram, so I’m bringing this to the blog with a Snapshot series. Whether make-up, beauty, fashion or outfits I give you the captions and detail behind the insta-pics. 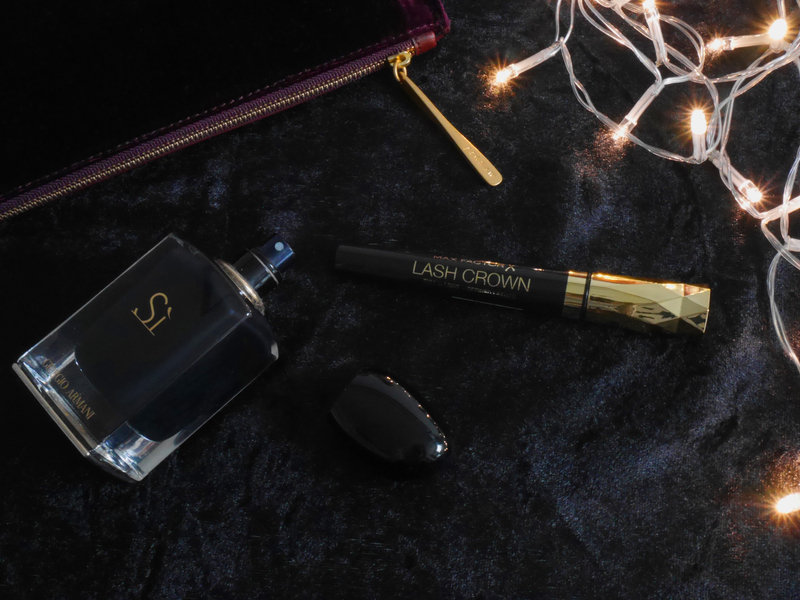 … with velvet accessories and heady fragrance, luscious lashes and obligatory festive fairy lights. My signature scent if you will, is Dolce & Gabbana’s Light Blue but as the name suggests it is light and sometimes a heavier fragrance feels more appropriate midwinter. 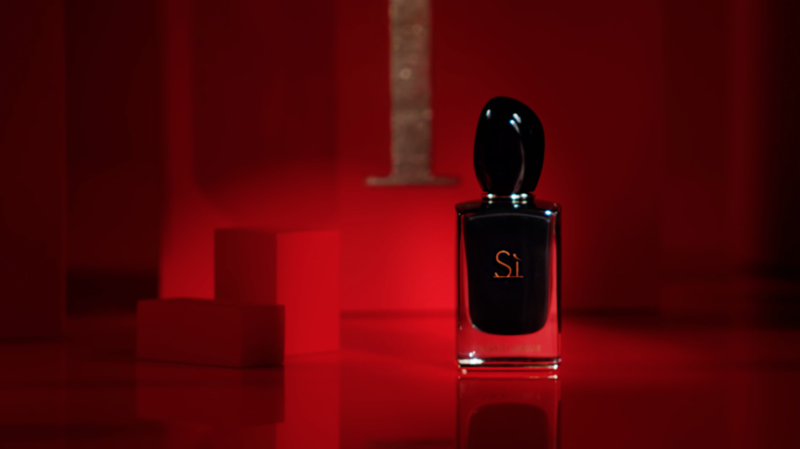 While wore Ralph Lauren’s Notorious for several years – and I could’ve sworn I had a new bottle ready to crack open but can’t find it anywhere – it is now now sadly discontinued so my Giorgio Armani Sì Intense eau de parfum is stepping into the picture as my winter go-to scent. 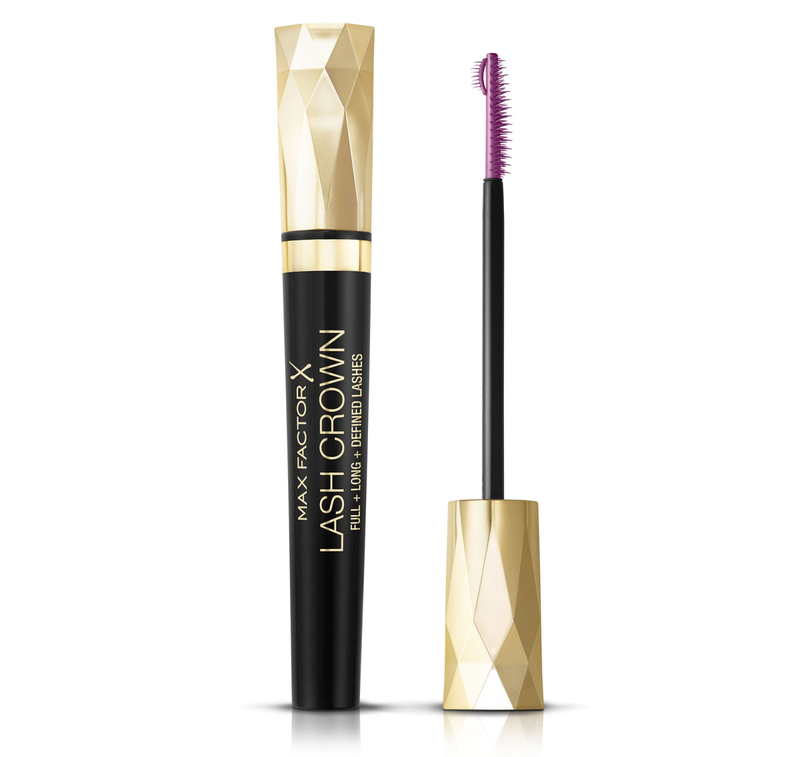 This Max Factor Lash Crown mascara is relatively new and championed by pro makeup artist Caroline Barnes and it’s the uniquely shaped wand which gives the mascara its name. The crown shape on the end of the wand allows you to work into each lash, catching those corner lashes too and while I’m a big believer in the mascara application technique you use being key to great lashes (wiggling and layering), you need a great wand as your tool to start with. It is often said that wearing a bold red lip does wonders to distract from tired eyes but for me, my focus has always been on strong lashes to open up eyes and refresh my look in the morning. While I’ve recently had my favourite russian volume lash extensions again ready for the party season (by the lovely and talented Sophie Whimster – if you’re in London or the South East you must check her out) but for precision on my lower lashes (and all over, before I had extensions) I need a true black mascara which lengthens, adds volume and doesn’t clog – the dream, yes?! I’ve used many many (many!) types over the years and am often asked which I use and after spending a fortune on DiorShow over the years I favour more affordable wands, because I generally get through a lot of the stuff so this is my new make-up bag essential. Do you change your fragrance for winter? What’s your go-to for perfect party eyes?